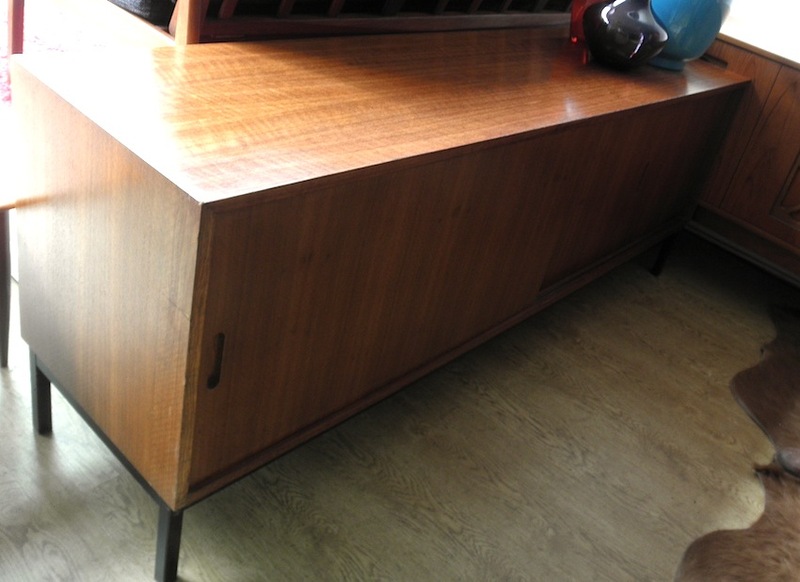 This rare labelled FLER sideboard is a really rare piece. 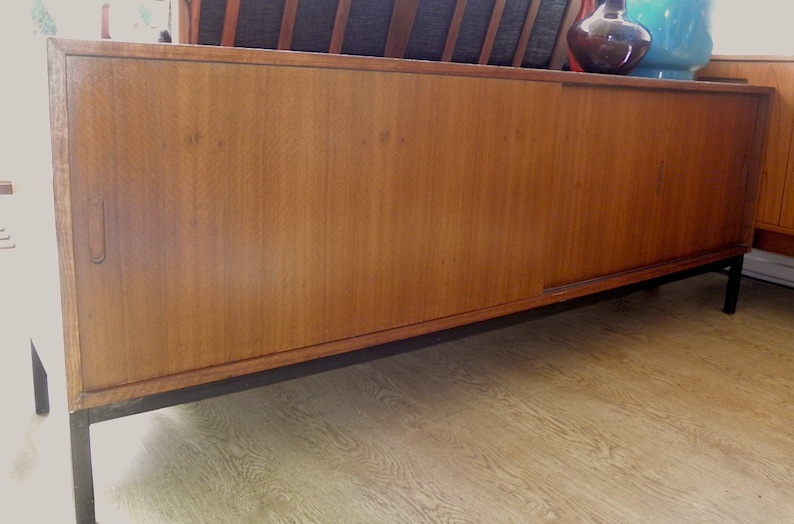 It’s the only one I have ever seen it presents well with a blackbean case over black metal base, -very mid century American in style. 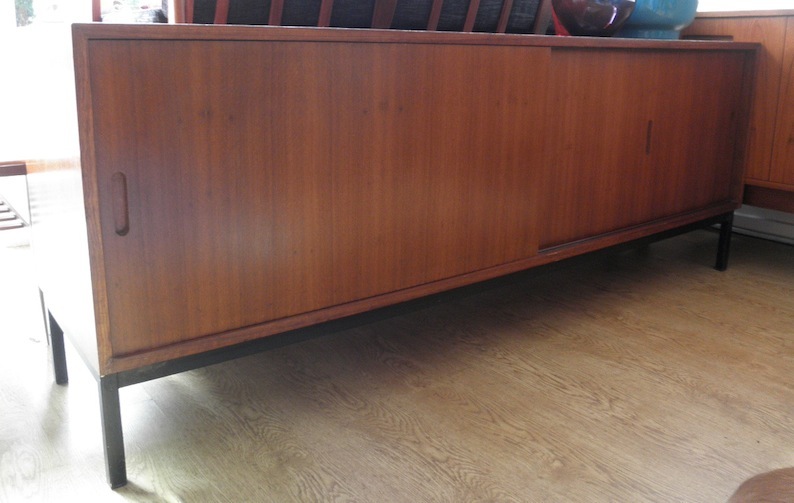 It has a great long low profile and would be a fantastic TV unit. The veneer is a teak colour with nice figured grain. Approx. 182 x 46 x 68cm.